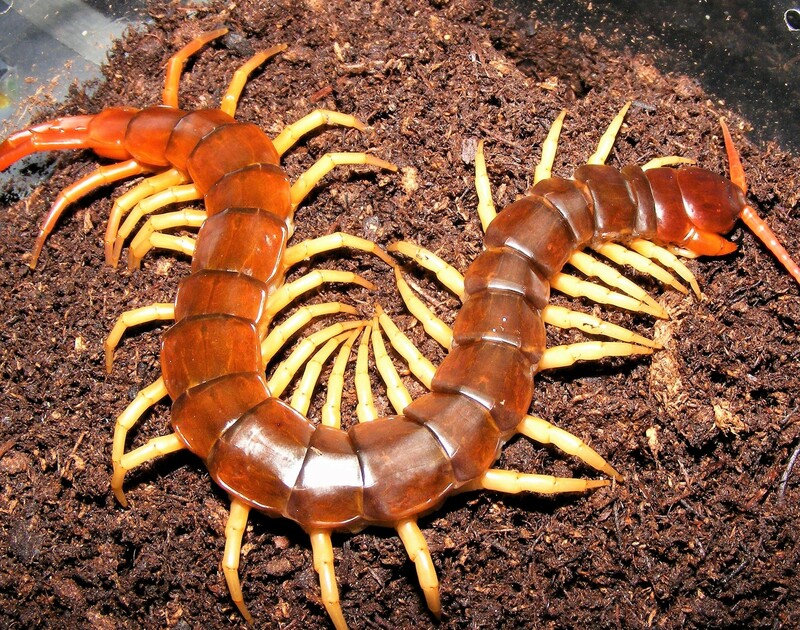 Large and aggressive asian centipede, S. dehaani, should be taken serious. Beautiful coloration, dark reddish trunk with orange head, and tail section, with bright yellow legs. These will eat roaches, crickets, and anything small enough to devour. These have strong venom, so be cautious! Reaching in excess of 8"! These are limited, so don't wait too long! This small species is a bright orangish-red in overall color! Found in woodlands under bark, moss and leaf litter. 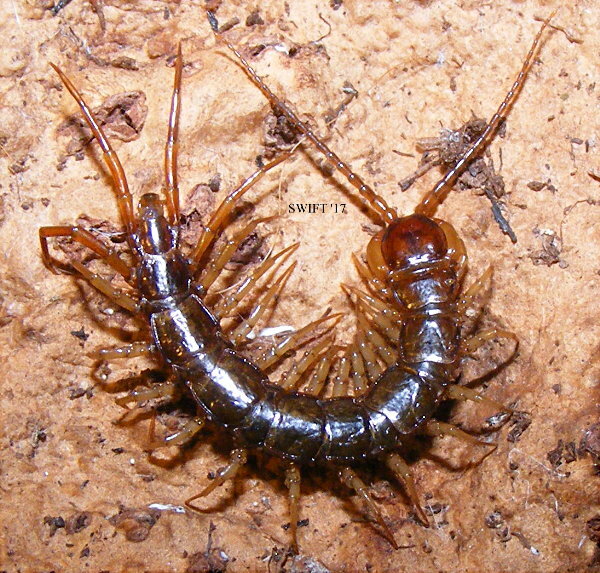 Easy to keep, resemble Scolopendra, only in a smaller version. Reach 2"+ as adults, real nice looking. 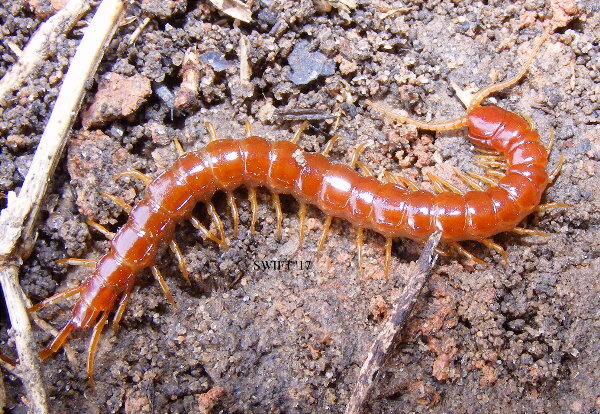 These stout little centipedes are very fast. 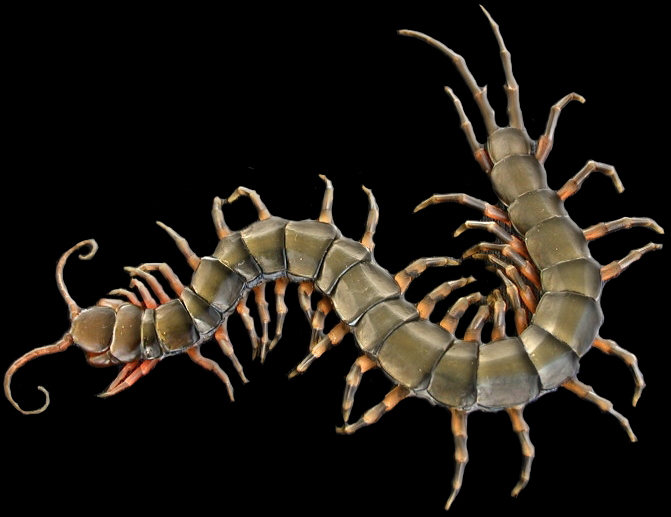 Small, but a real neat pede, that devours prey with ease. Has been known to live as long as 5 years! U.S. & Europe. 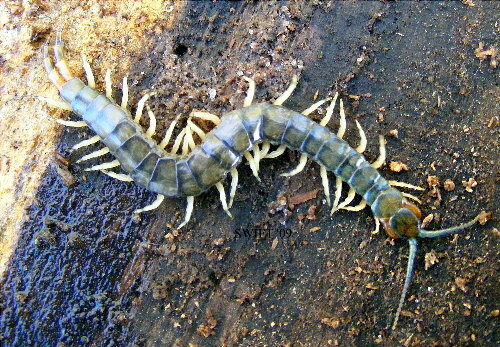 This small Hemiscolopendra species is greenish blue with yellow legs, and an orangish head and tail. Found in the woodlands of eastern U.S. these only reach 3"+ as adults, but are real nice looking. Copyright � 2018 Kelly Swift.� All right reserved.